How do I disable the GeForce Experience Share in-game overlay? 2) From the General panel, toggle the SHARE setting to off as shown in the screenshot below. 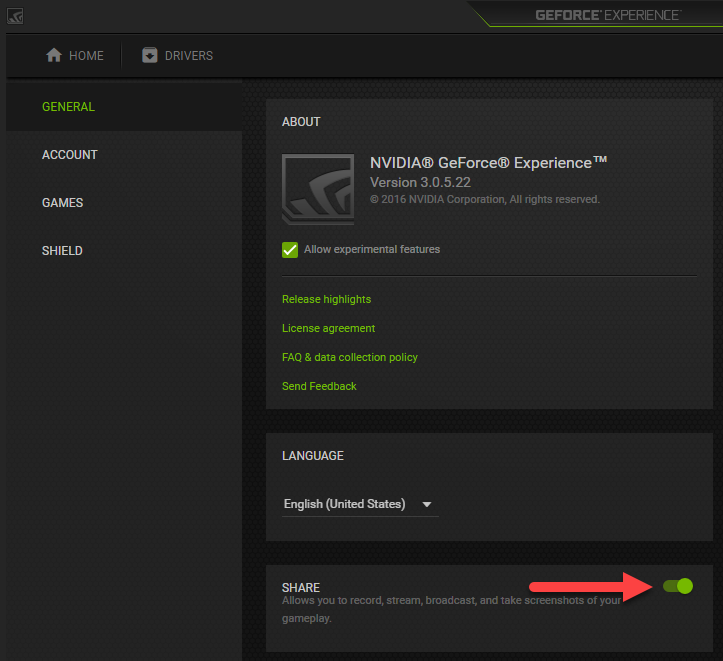 Note: If you wish to use GeForce Experience SHARE again, switch the SHARE toggle back to on.